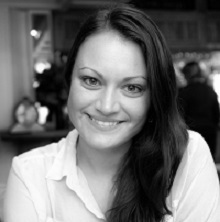 (@sgentschenfeld) Svenja is a PhD Researcher in the LSE Department of MEdia & Communications. She holds a BA degree in International Cultural and Business Studies from the University of Passau, Germany, and completed the Washington Semester program in American Politics and Journalism at American University in Washington D.C. She holds a MSc degree in Politics and Communication from LSE. Her work experience includes internships with the U.S. House of Representatives, the U.S. Federal Communications Commission, the Goethe-Institut sub-Saharan Africa in Johannesburg and Deutsche Telekom. Before starting her PhD in New Media, Innovation and Literacy, she worked as a EU Marketing Strategist for Wildfire, a division of Google.